Networking is critical for IT operations staff. What are peers doing at other similar organizations? Experts in specific technologies and technical areas will be on-hand for face-to-face conversations. This is an opportunity to go directly to the source to overcome a current challenge or work out ideas that would improve your organization’s computing edge. The rich "Hallway Track"—networking outside the session—and evening activities make it easier to approach your favorite speaker. Get up to speed quickly on that technology you have been wanting to implement. Give your institution a boost whether you are improving agility, scaling your business, or modernizing. Speakers cover a wide range of topics over three days in the areas of engineering, architecture, and culture. LISA is vendor neutral, so these are real professionals, not sales and marketing representatives. A diverse variety of vendors from hardware to *aaS services will be on-site to answer questions at the LISA Expo. Shop for solutions that will work for your organization. With three days of full- and half-day tutorials, LISA provides an unparalleled opportunity to gain real-world knowledge to take back to work and use immediately. These intensive tutorials cover a multitude of topics, including containers and microservices, systems management, security, coding, soft skills, and more. 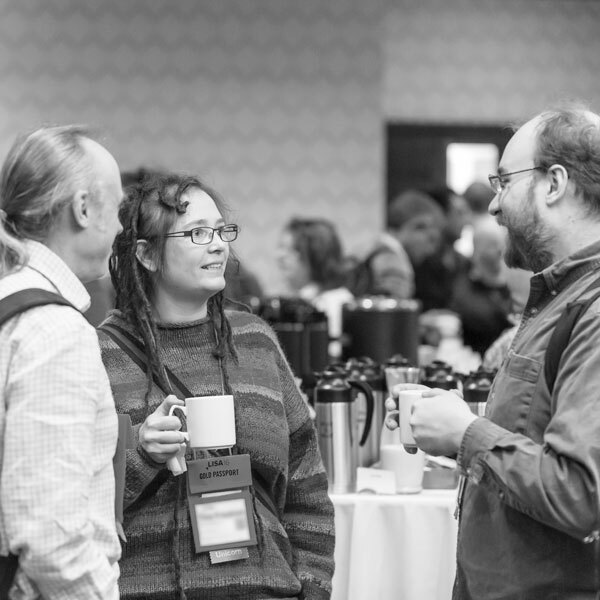 Combine training with the Conference Program, and an active hallway track, and you'll network and collaborate with peers and industry leaders to gain all-important “insider” knowledge.